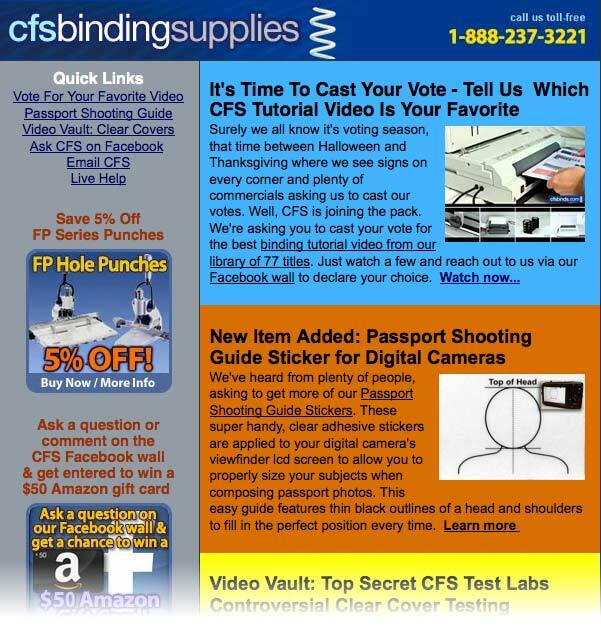 In November 2012’s newsletter: it’s election time, so we’re asking you to cast your vote for your favorite CFS video tutorial. There’s a new product addition: the Passport Shooting Guide Sticker helps you take perfect passport videos every time. Reaching into the CFS Video Vault, we showcase an overview of clear, matte & frosted covers with top-secret footage from the CFS Test Labs that demonstrates their ‘unconventional’ testing methods. ← CFS Is On The Move!